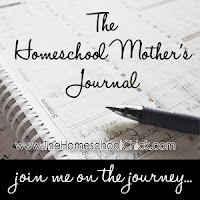 If you visit "Our Homeschool" page, you will learn about our curriculum. I must confess, however, like many things in life... even curriculum isn't flawless. I have come to realize this doesn't mean it is useless... it just takes some discerning and adjusting and Viola! I had such an occasion this past week and I must first tell you, this is why we should pray in all things... even lesson plans. Brenden and Brooke are using Learning Language Arts Through Literature, the Yellow book, this year. 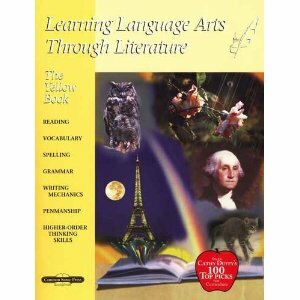 As I mention in "Our Homeschool", I love this curriculum because it draws from good wholesome literature and the Bible. This coming week's lesson has 'copy' work from "Bible Stories to Read" by Martha Rohrer and discusses how "Jesus always did what pleases God". The day 4 assignment suggests kids "make a list of at least five things [they] can do that pleases [their] parents" with the premise of pleasing God. I am not against pleasing God... but I was suddenly convicted of a fallacy and flaw in religion of our time: that we can ever please God at all. Yes, I know scripture also talks about our works and what we can do... but we don't do to please God; we do to reflect His Glory and image to others. If we can't complete a day without sin, how could a list of to-dos hope to please and make up the difference? We are only righteous through faith as the result of Jesus Christ. I may be either legalistic in my view... or too simplistic. But as for me and my household, we desire to reflect glory, not create it. After all, to "create" indicates to make something out of nothing... and only God can do that! It isn't an easy lesson to teach, when balancing the calls of books such as Titus. Yet we can do it by repeatedly and lovingly telling our children God loves them no matter what and urge them to make sure others see God's love in us too. This is where Bible study and a slew of other advice peppered throughout each week comes in... but that is for another article, another day. If you're itching to know NOW, leave a comment, I will do my best. For now, keep praying. Pray over each week's lessons. Listen (and follow) God's leading when a lesson seems just-not-right. And Pray for your children, that they might know and desire a reflection more like Christ each day... in all they do. Where, then, is boasting? It is excluded. Because of what law? The law that requires works? No, because of the law that requires faith.